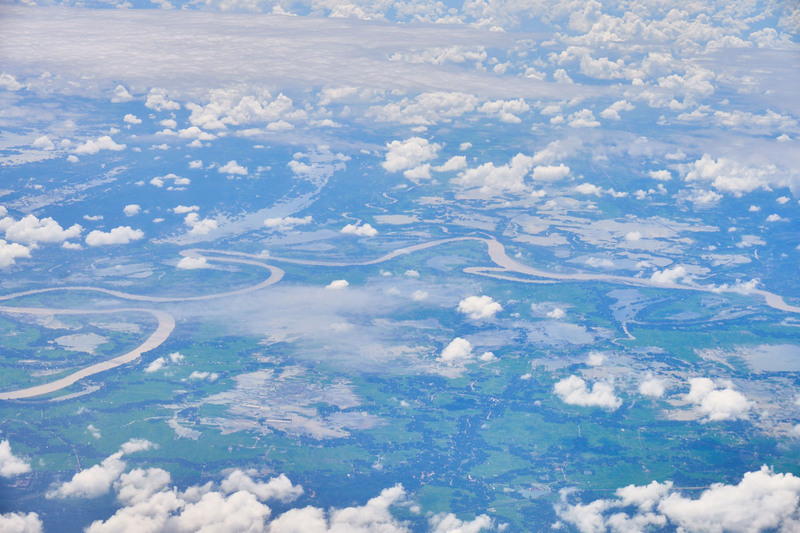 Incredible bird's eye views on the way to Manipur. 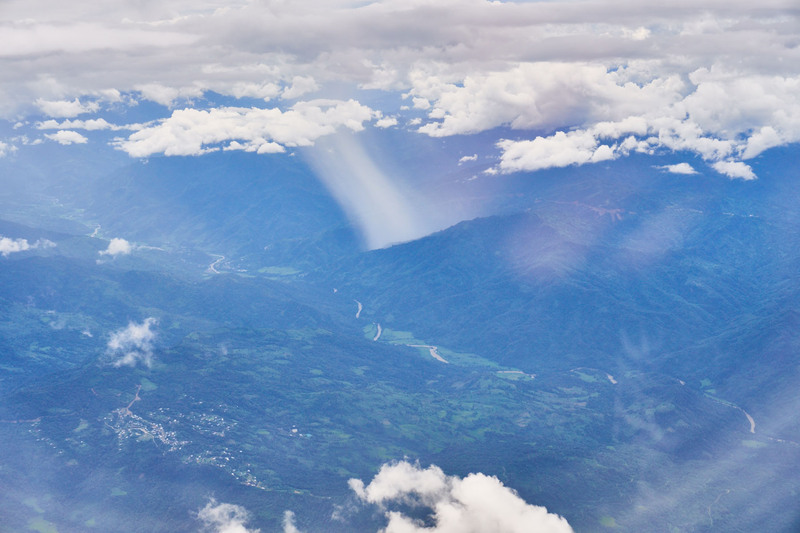 The quickest and safest form of travel to northeast India is with no doubt by a flight. Traveling by land a distance of over 2000 km will take at least few days. 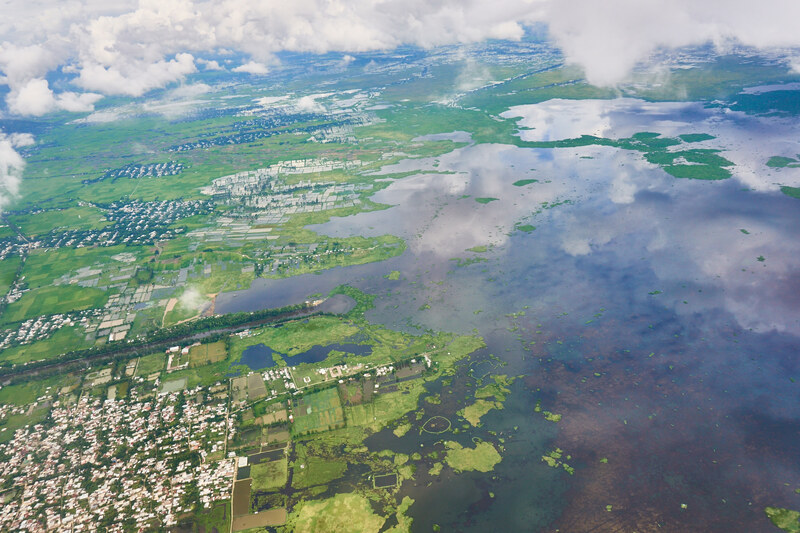 The flight from Delhi to Imphal, the capital of Manipur, in turn, a few hours. 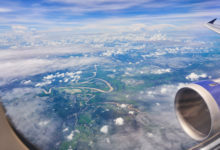 The offer of connections of airlines is large, and the majority are flights with transfers in Calcutta or Guwahati, sometimes you can also find direct flights. For me the most preferable is to fly with IndiGo airlines with a stop in Guwahati. The shorter flight time and, above all, the views outside the window speak for themselves. 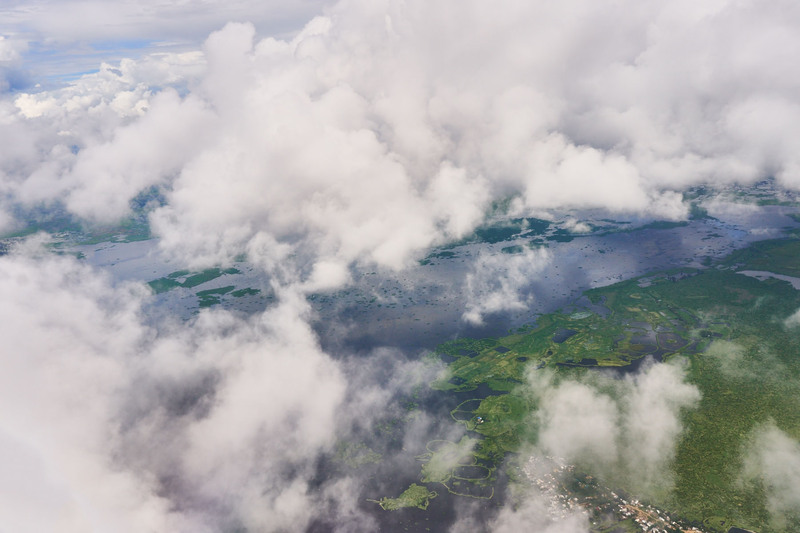 Choosing the right place on the plane we will be greeted by the amazing views of Northeast India. 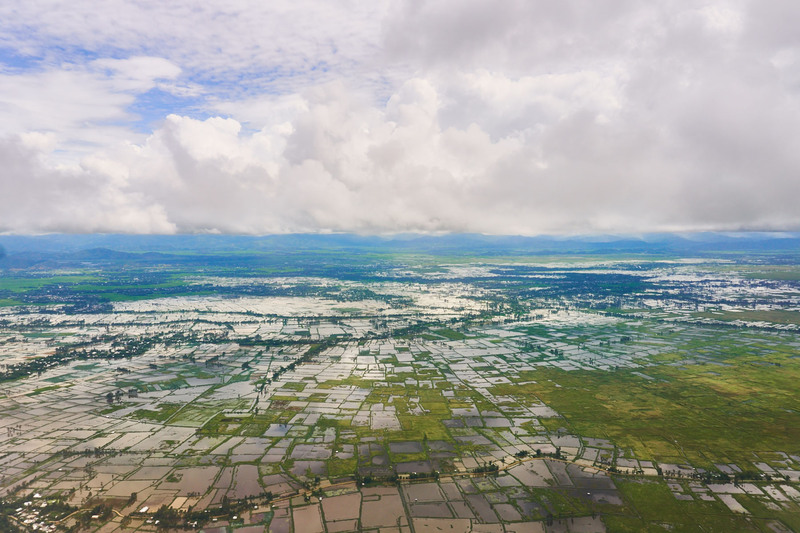 In this gallery I would like to share with you the photographs that I was able to capture over the states of Assam and Manipur. We will start our photo-journey from the second highest peak in the Himalayas (and the third on Earth) with a height of 8586 m above sea level. It is Kangchenjunga located on the border between India (Sikkim) and Nepal. 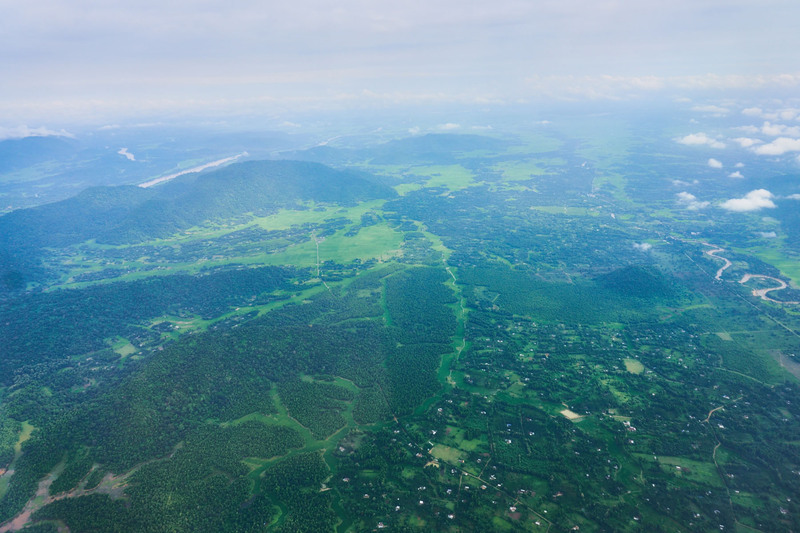 While traveling from Delhi to Guwahati, you will be able to observe this mountain massif on the left side of the plane, shortly before landing in the capital of Assam. The plane was at a distance of about 100 km from the mountain’s highest peak while taking this shot. Surma – also called Barak – having its sources in the northern part of Manipur. 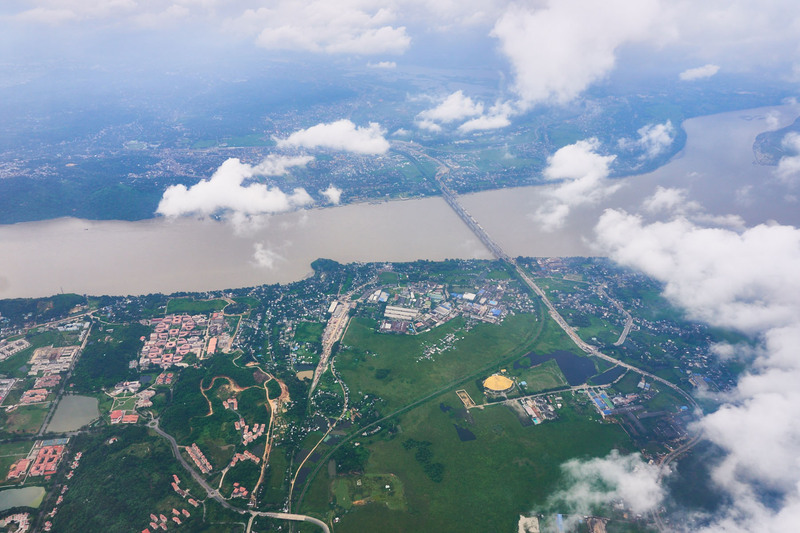 During the rainy season – and right after it (till early to late September) – there is also a lot of flood in the valleys. After stop in Guwahati, it is worth taking a seat on the right side of the plane. This will be helpful in the next views along the route. 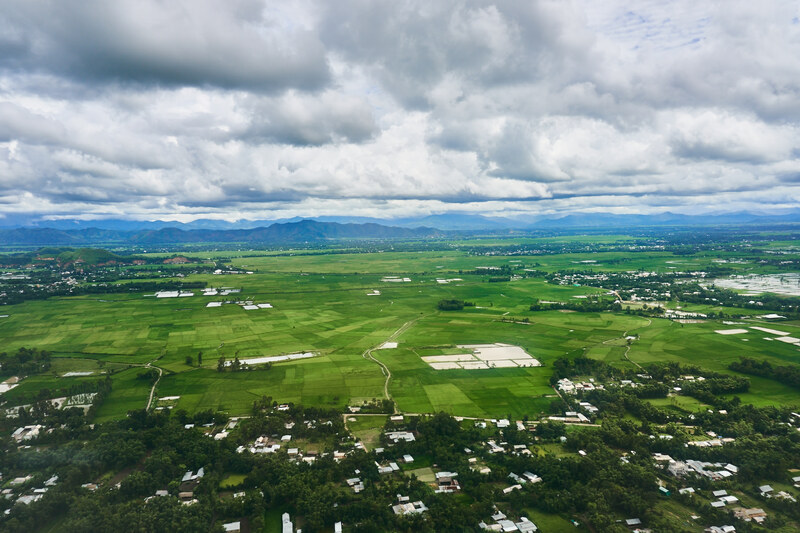 When approaching to land in Imphal, the plane will most likely land from the south-west direction. 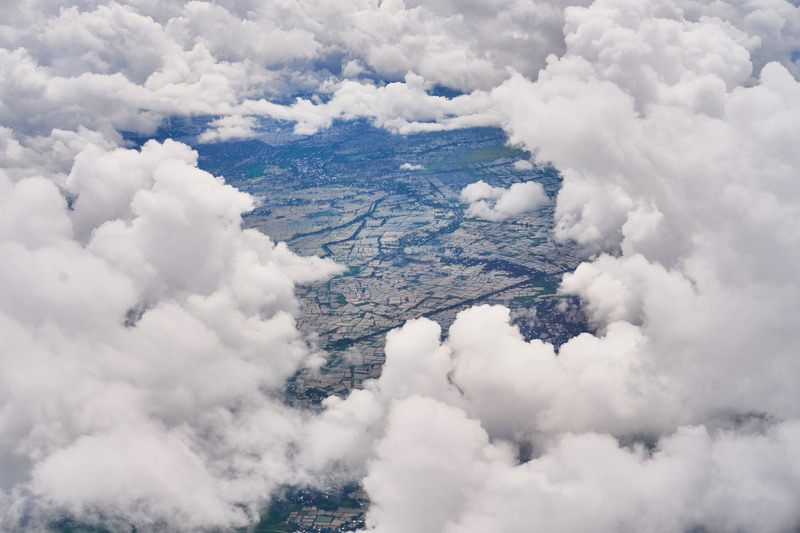 This means that for several minutes before touching the airport plate, passengers on the right side of the plane are completely next to their windows and views behind them. 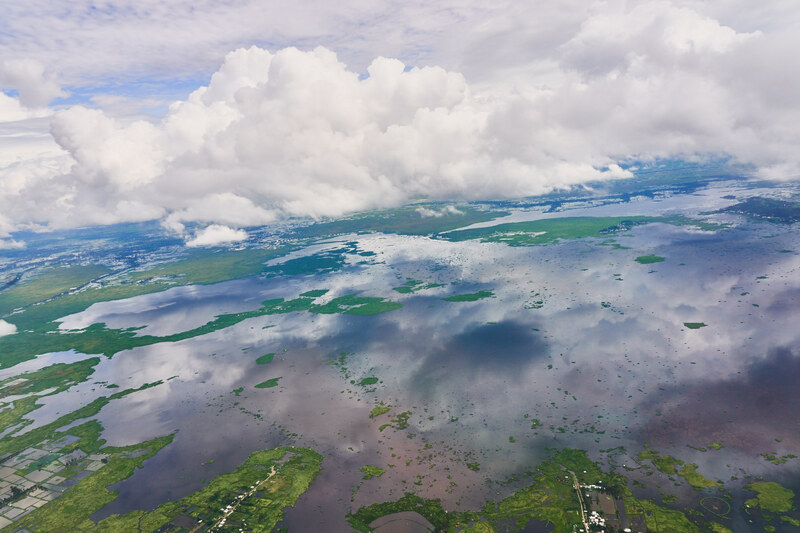 The Loktak Lake emerges from the clouds with an area of nearly 1000 square kilometers, making it the largest freshwater lake in Northeast India. A characteristic feature of the lake are artificially created floating islands that local fishermen use to catch fish. In my opinion, photos are difficult to reproduce the power and beauty of nature that this place presents “live”. 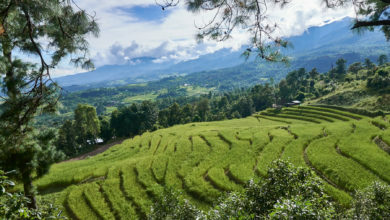 The valley in the central part of Manipur, where the capital Imphal is also located, is a flat area covered largely by rice fields. 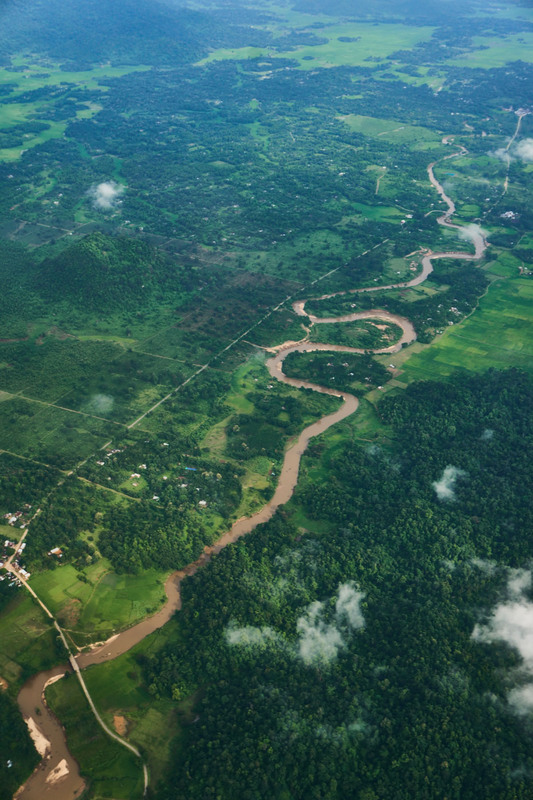 The last minutes before landing, we look at the vast network of farmland intersected by roads and buildings. Did you like this post? Pin any of below graphics on Pinterest! Absolutely beautiful pictures! Great work! I think the mountain view worth taking a flight. 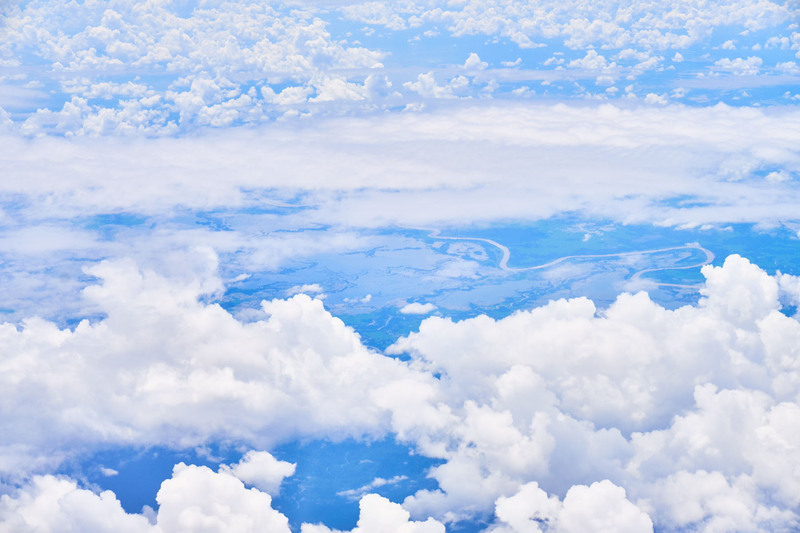 And, what a cool idea to share scenic airlines. Thank you. 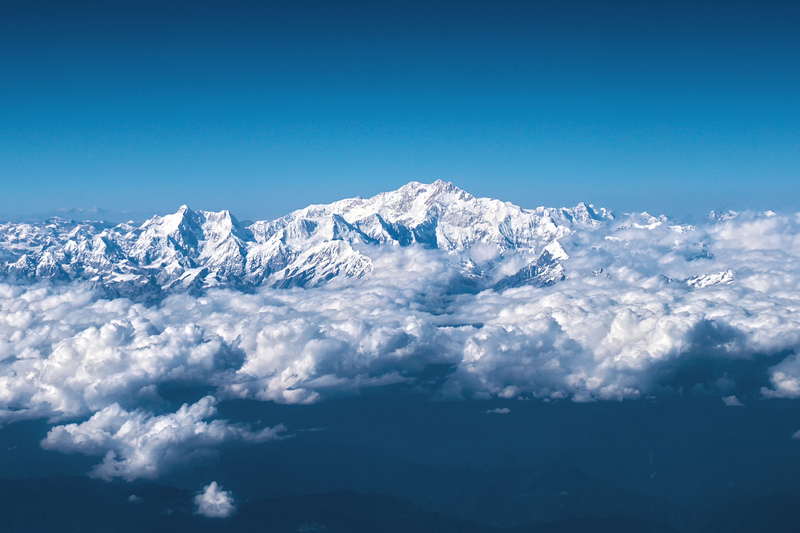 And yes – Kangchenjunga from a bird’s eye view makes a really remarkable impression.